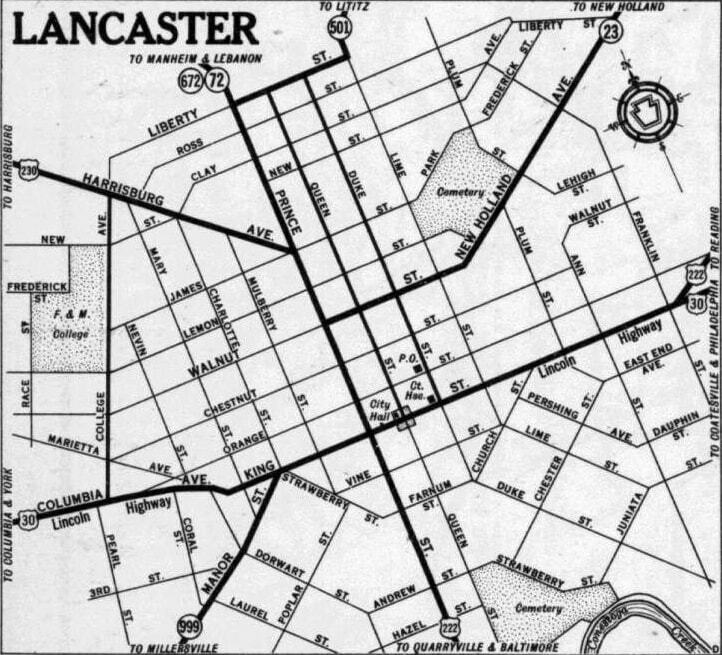 US 230 was among the original 1926 routes, although AASHO's map that was approved in 1926 showed it extending south of Lancaster to Conowingo MD. However, that was probably a map error, because already by the time of AASHO's 1927 route log, it was US 222 that went south of Lancaster. 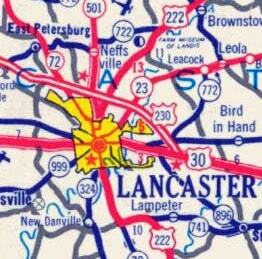 US 230 was shown to run only between Lancaster and Harrisburg, which it did for the next 40 years. The old road is still driveable, and much of it is now designated PA hwy. 230 between the cities. last updated Aug. 14, 2017.